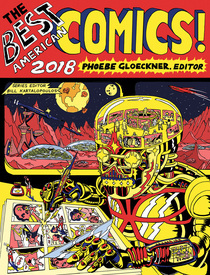 Guest Editor, Phoebe Gloeckner supported by Series Editor, Bill Kartalopoulos have together sifted through the American comics of 2017 pulling together a kaleidoscopic collection featuring tons of great work from the past year, all under a dazzling brand new cover by Lale Westvind (who also has a piece included). Plus, Pittsburgh-based Laura PallMall (aka Jason Lee) @laurapallmall takes a bow for the second year in a row. IN the nearly 400 pages of this years anthology, readers will discover a whopping 33 comics. 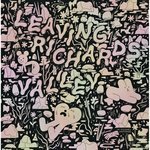 Created in full-color, duo-tone and tri-tone as well as straight-up black & white, some of the pieces are complete in and of themselves, and others are excerpts of longer works. There's a nearly mind-boggling range of material here. We'd be surprised if there were more than a handful of comics readers who have come across all the work contained in this collection before. No matter what corner of the comics universe you come from, you will both discover new comics creators and find work that will challenge your conceptions of what comics can be.